The 15th annual e-Assessment Question Conference is celebrating its most successful year yet, with delegates from around the world coming together to hear about the latest innovations under the theme ‘e-Assessment: commissioning, implementing and delivering’. So what were some of the key take-aways from this year’s conference? 1: So much has changed, but there is still a way to go. 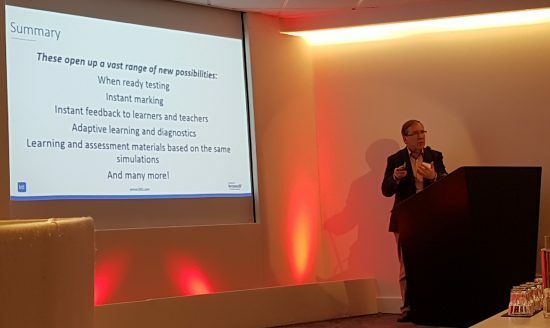 The conference began with a Keynote from Dr. Bob Gomersall, chairman of BTL Group and Virtual College, reviewing the evolution of assessment. Using a wide range of BTL customer examples, Bob challenged the audience to find ways in which technology can take a greater role in the assessment of General Qualifications, as it has for professional and vocational assessment. One specific change highlighted was the need to modernise JCQ policy on the use of BYOD technology to make better use of new innovation in secure word processing applications like SurpassPaper+. 2: Both learners and test delivery organisations are positively embracing e-Assessment. Naturally, the usual advantages of e-assessment compared to paper-based testing were discussed. 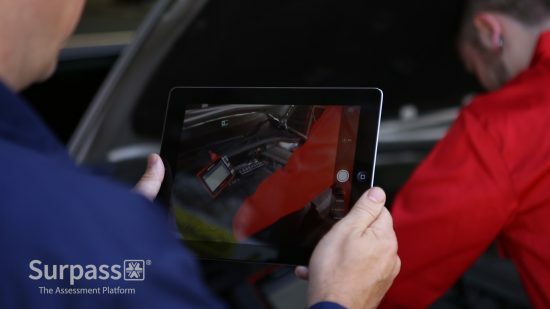 One notable outcome from the new ‘Speed Learning’ discussion session, headed by members of the e-Assessment Association, was that everyone who has experience of computer-based testing (CBT) agreed that they wouldn’t go back to paper-based testing. They relished the advantages CBT brings to their workflows, business processes, and most importantly the candidate experience. New Surpass Community members ICAS were excited to speak about why they chose BTL and Surpass, and their impressions so far. As well as the importance of technology meeting your needs, Robert Burns (Senior Operations Manager, ICAS) also stressed the importance of “people buying from people”, and that it is the ongoing support they receive from BTL staff that allows us to enjoy such a fruitful relationship. 3: End Point Assessment: a huge talking point in the UK. Recent government-led changes to the apprenticeship programme in the UK has left a number of unanswered questions and concerns. With no truly dedicated solution for EPAs, AAO organisations are turning to market leaders for help. Modern integration capability is at the top of the list of requirements for organisations looking for a blended approach to securely capture results from their various assessment approaches. 4: The International e-Assessment Awards. Martha Gibson from Edinburgh Business School accepting the e-Assessment Award for “Export”. Dr. Bob Gomersall, BTL Chairman, accepting the Lifetime Contribution Award. 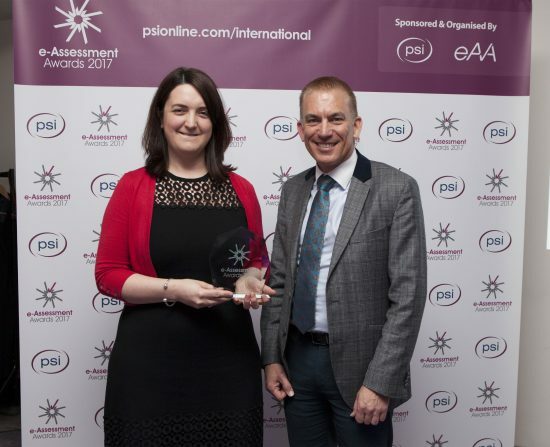 It was without doubt that the first International e-Assessment Awards captivated interest across the industry, and also helped to attract a number of international delegates to the conference. We are very proud of Surpass Community Members JT Limited CompEx and ICAEW for their shortlist nominations, and Edinburgh Business School, who took away the “Export Award” and were highly commended in the “Best Institution” category, for their fantastic work in the delivery of high-stakes examinations to distance-learning students across the globe. 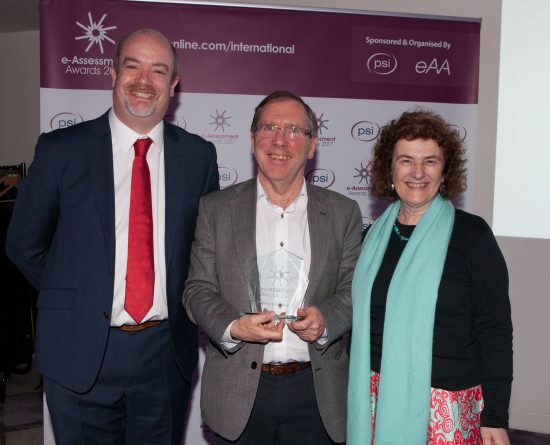 Finally, BTL Chairman Bob Gomersall, described as “a leading force in the world of e-Assessment” was honoured with an award for his Lifetime Contribution to e-Assessment. We hope you’ll join us in congratulating Bob on this well-deserved accolade, and add your thoughts on the conference and awards in the comments section of our social media channels. Did you attend the e-Assessment Question 2017? What were your key take-aways from the conference? If you would like to meet BTL and members of the Surpass Community at future events, you can find out more about our events attendance on the Events Page.